AdvancedParabolicTrader_v1.1 600+ EA was created for Premium Trading Forum. The trading on current bar was improved with this version. 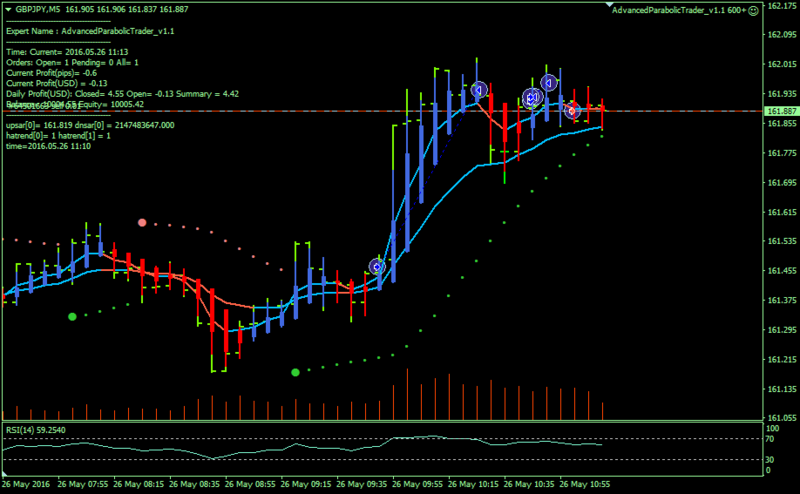 This is advanced EA which allow to use both AdvancedParabolic_v2.3 and AllHeikenAshi_v2.5 indicators.